Super stoked to share that a new programmer is joining the team! Everyone say Hello to Tom Huffman! Hi, I’m Tom Huffman and here is a little about me. I first taught myself to program by making small games and attending game jams. Before going into games I went to school for photography. I later went to DePaul for game development. At DePaul I worked on the VR game Dumpy: Going Elephants. 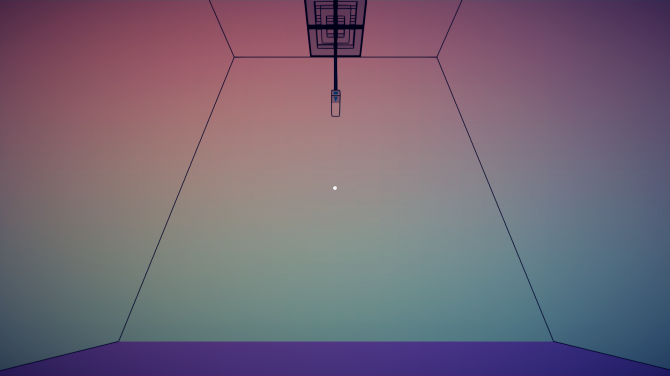 Dumpy was made for an Oculus Rift game jam. 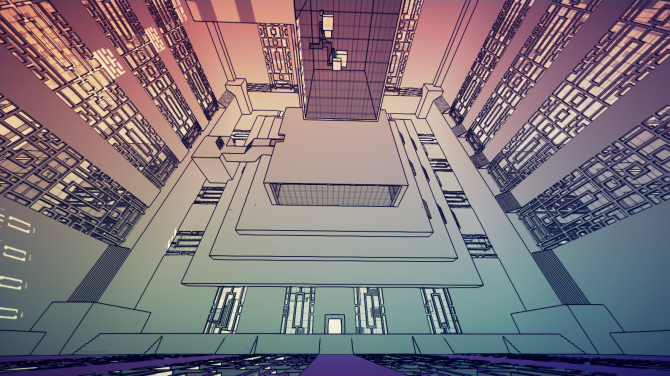 It won a spot in the Indiecade West Oculus Rift booth and was latter shown at Bit Bash. 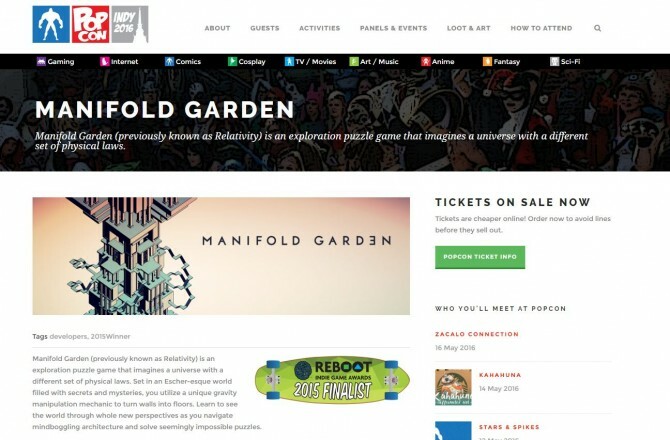 I recently worked for M1 Interactive making interactive advertising for trade shows and museums. 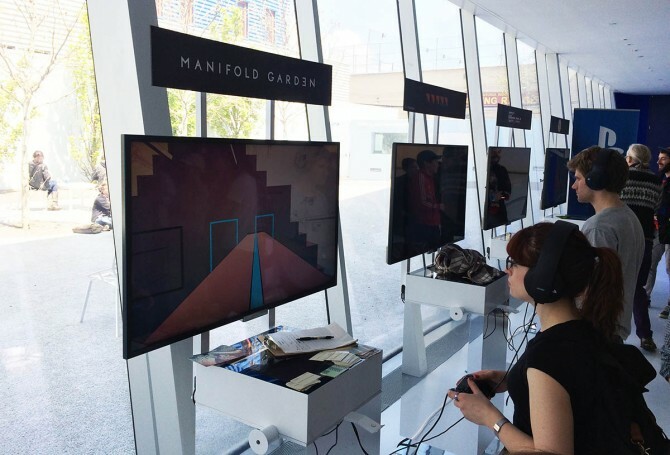 At M1 I worked with Unity and Arduino to create one off experiences. The projects ranged from projection mapping and touch screens to augmented reality and vertical reality. I continue to work with DePaul on their game capstone and art game classes. I work directly with capstone teams as a programming and design mentor. I have been doing this from around the time I graduated in 2013. 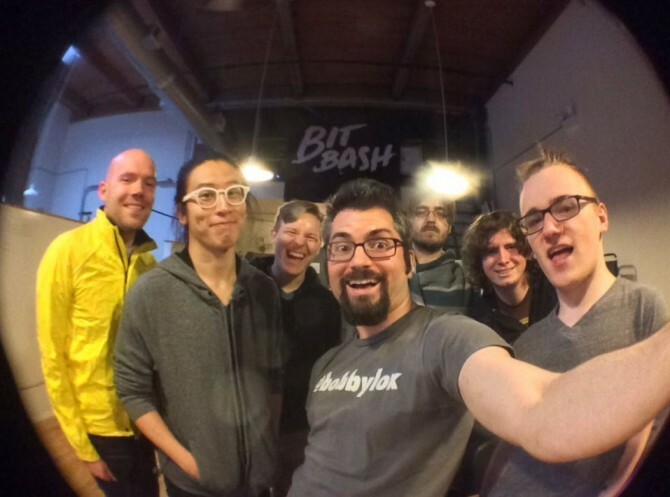 I try to go to any local Chicago game events like Indie City Games, Chicago Unity Meetup, or Bit Bash. I have also gotten way more into biking this last year and have switched my primary mode of transport to my bike. 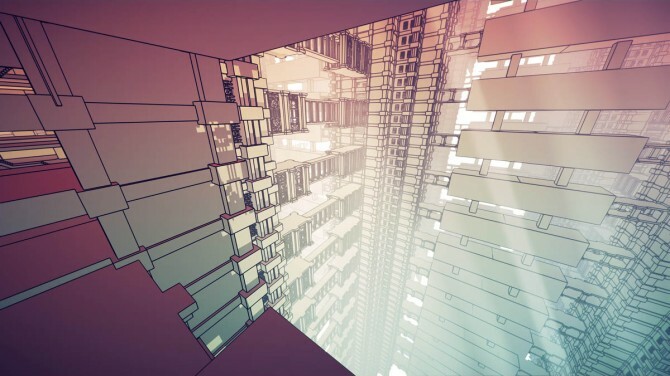 I’m super excited to start working on Manifold Garden. Welcome to the Garden, Tom! Great to have you on board. 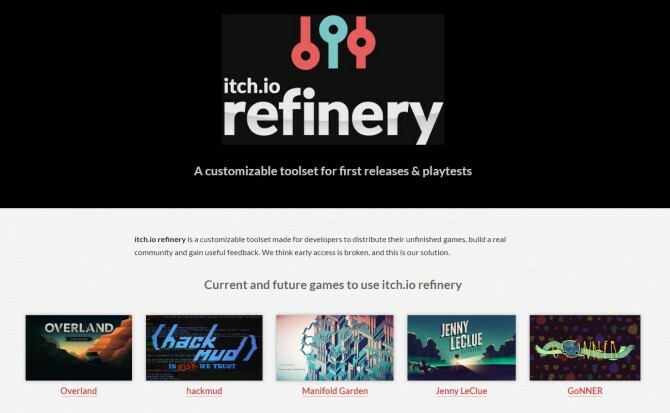 Itch.io has just announced the itch.io refinery, a customizable system of tools for developers to distribute beta versions of games and get useful feedback. 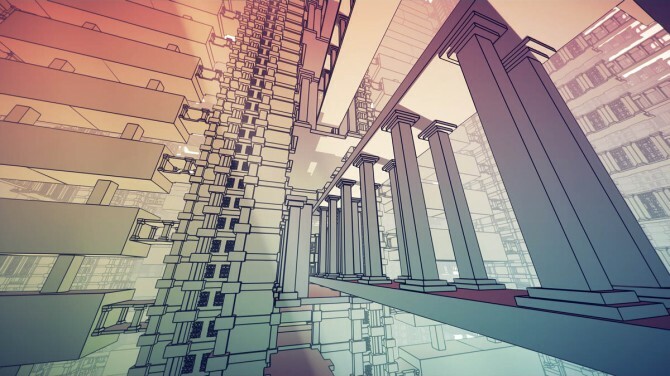 I’m proud to say that Manifold Garden will be one of the first games to be using this. I’ll be starting beta testing of the game soon, and refinery came at just the right time. I think itch.io is doing a really great work in the game distribution space, very much like bandcamp is for music. It’s still a very small audience compared to Steam, but they’re really putting control back into the hands of developers, and I think that’s awesome. 1. 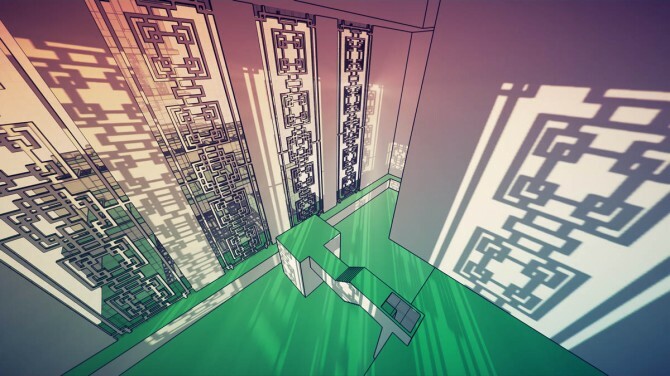 How can I establish engagement for the player beyond the puzzles within the first hour? 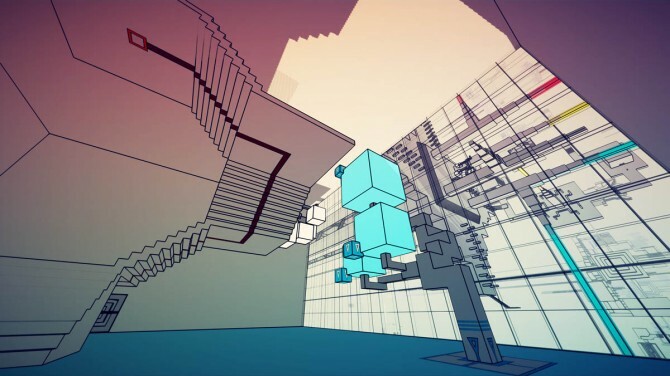 Namely, the puzzles and architecture are engaging for an hour, but then players are starting to question “why” they are playing the game. This is where a narrative or sense of mystery needs to be set. How can I do that within the first hour? 2. 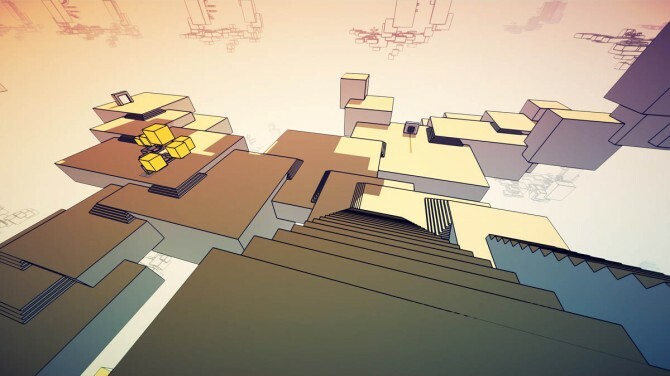 When players enter the area for the double gravity cubes, it feels like a let down, especially after coming from the infinite stepwell level, which for many people is the highlight of the first hour of the game. 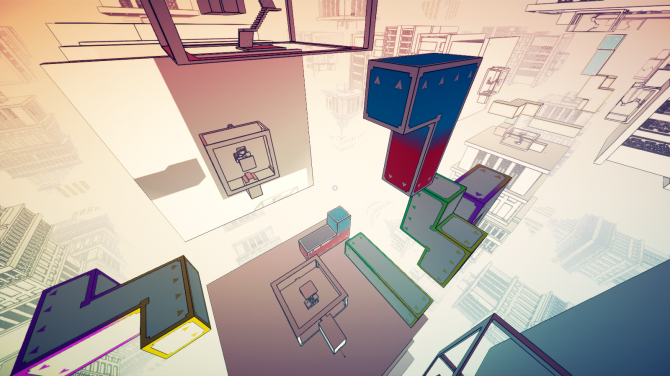 How can I make the double gravity area not feel like a let down? 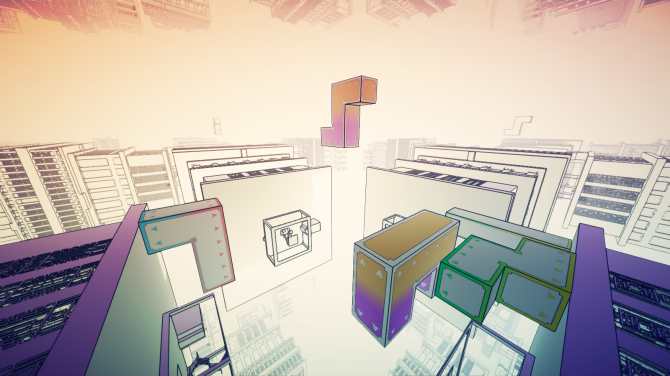 However, regarding the second question, Thew Yeager, the dev of Aerobat, pointed out how the intro to the double gravity section is just a simple room. 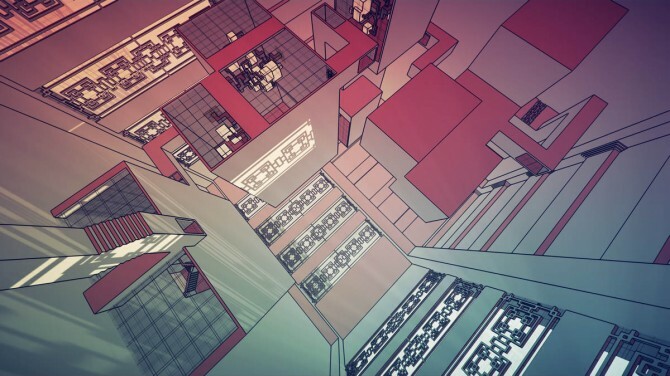 You come from the infinite stepwell level, which feels incredible and open, and are then presented with a small enclosed room with a button. The search for a programmer is finally over! I’ve found someone to help me finish the project. They will be starting next Monday. I’ll be doing an official post here introducing the new team member! 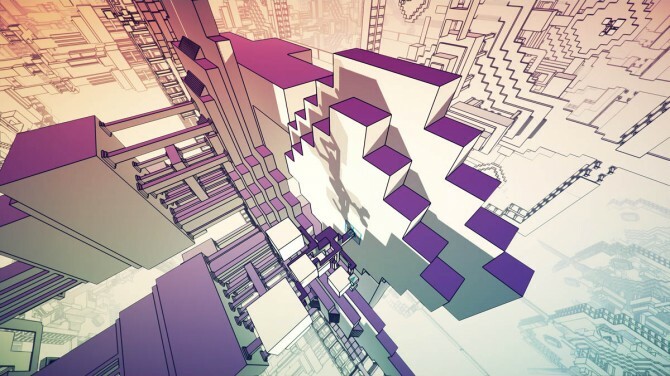 I will be returning to E3 this year with Manifold Garden! I actually didn’t think I would be going this year. Only got the news last week, which is quite late. I’m super excited to be showing the new build of the game. E3 last year was a ton of fun, albeit incredibly exhausting. I received a lot of press from being there last year. Looking forward to seeing what happens this year. From E3, I will be flying straight to Indianapolis for Indy Pop Con, which begins the next day. I’ll actually be catching the red eye, and going straight from the airport to the convention center to set up. This will be my 3rd time at Indy Pop Con. I was there at the very first one back in 2014, and it’s really exciting to have seen it grow over the years. The great thing about this convention is that there’s a really decent size crowd, but still small enough that you can have conversations with people without feeling totally overwhelmed. When I was there last year, there were players who had been there the previous year, and it’s really great getting their feedback on the game after a year. Looking forward to seeing the returning players and meeting new ones. 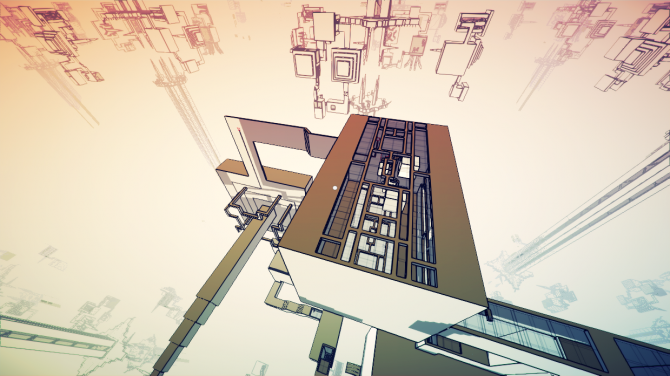 Submitted Manifold Garden to Indiecade just in time for the regular submission deadline. 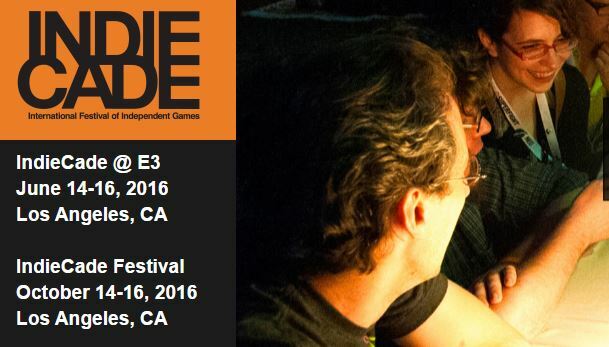 I’ve submitted the game to the festival the previous two years, but didn’t get in. Hopefully third time’s the charm! 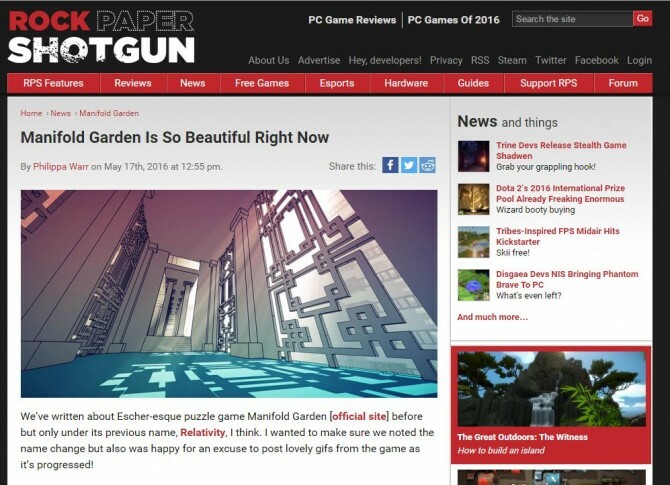 Manifold Garden featured on Rock Paper Shotgun today! And such a wonderful headline too. This is very special for me, as during the early stages of development, much of the feedback that I received was that the game looked very generic. It’s so great that now the art style is now making headlines! I applied to Twitch for partnership. Unfortunately didn’t get it. I’ve heard it’s quite common for people to get rejected the first time though, and applying doesn’t hurt future chances. It’s been an incredibly positive experience so far. My current schedule is Monday to Friday 3pm CT / 20:00 UTC for about 2 hours. After a week of struggling with the code, I finally got the interlockable wire lines working. On the interlockables, the wires actually light up bi-directionally. I just got back from New York City. 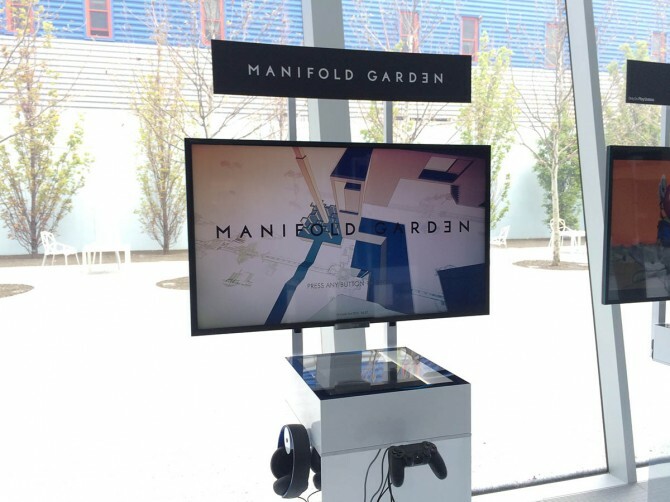 Manifold Garden was showing at Indiecade East, as part of the Sony PlayStation 4 section. 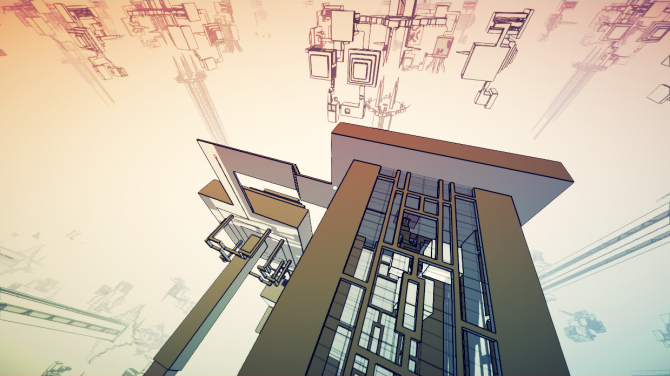 I received some really great feedback from this last showing, both in terms of how to refine world 001 and how to set up the pacing for the entire game. 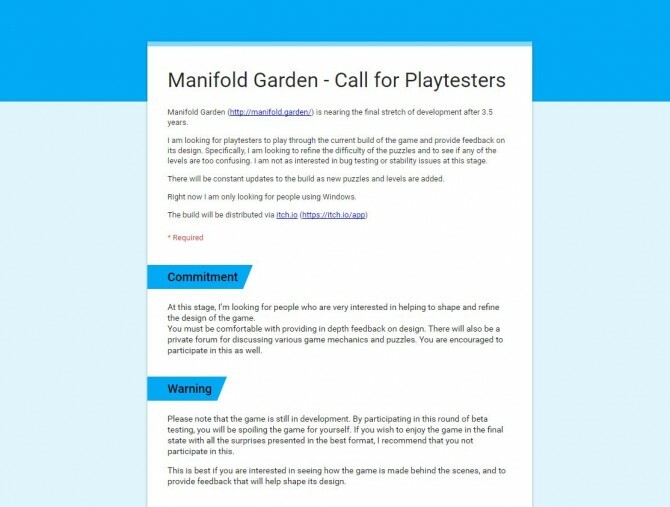 There were two playtest sessions that really stood out to me. In the first, the playtester had found her way outside in world 001 after solving the initial indoor puzzles. She had lit up one the first laser beam, and had more or less figured out that she needed to get to the other islands and light up the laser beams there. However, even though she knew where they were, once she got to them, she wasn’t able to orient herself correctly to access the entrance. This was because she wasn’t approaching the island from the center tower, so she would land on the “side” of the island. Because she kept landing on the exit door, which didn’t have a surrounding ledge, there wasn’t a surface for her to orient herself correctly. As such, she kept falling off and getting frustrated. This was unnecessary frustration. 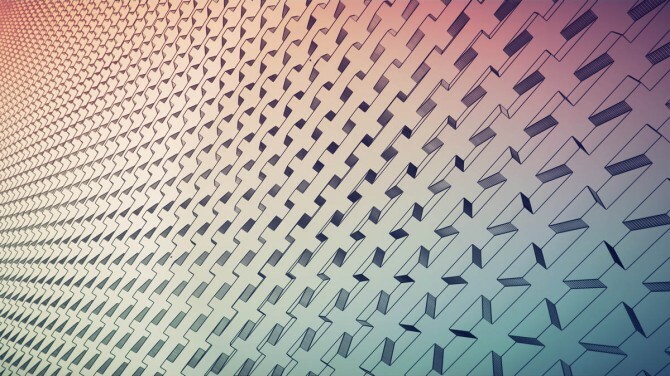 She had already solved the basics of the outside puzzle, in that she knew what she needed to do. The problem she was facing was an execution one, which is not in line with the goals of the game. 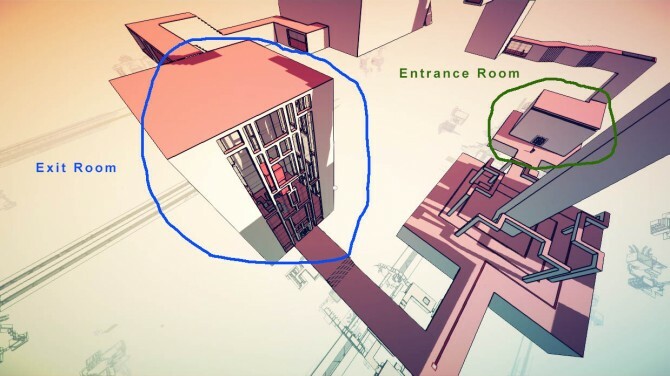 The solution is to simply add a ledge around the exit room. 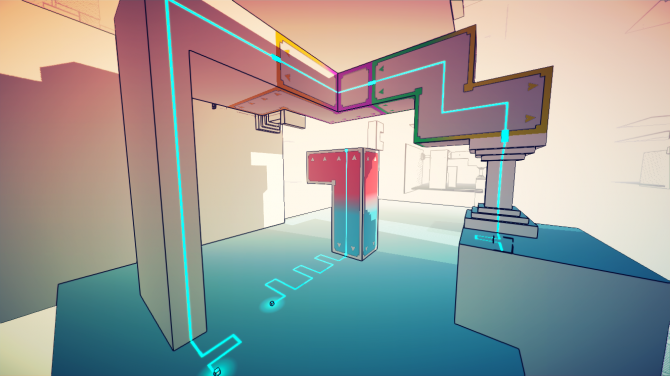 This provides a surface for the player to rotate onto to correctly orient themselves with the entrance room. In the second playtest session, I had gone out to lunch, and had come back to see the playtester had made it to about the 4th world (which means he had been playing for about 1 hour). I asked if he had started from the beginning, and he said, yes, and then I asked him what he thought of the game. At this point, he didn’t know I was the developer. The gist of his feedback was: the puzzles were good (he was obviously engaged having played the game for about 1 hour), thought the architecture was cool, but was starting to wonder why he was solving the puzzles. What was the purpose? He explained that he wasn’t a puzzle game player normally (he had played Portal only), so for a puzzle game to really grab his attention, it needs something more than puzzles. This was very helpful information for me. 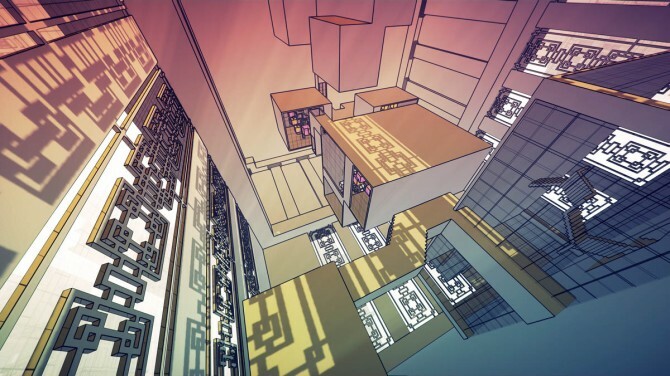 While Manifold Garden doesn’t have an explicit narrative with characters or voiceover or text, there is an implied one. There is mystery to be discovered. What this playtest session informed me, is that I need to introduce this mystery within the first hour. 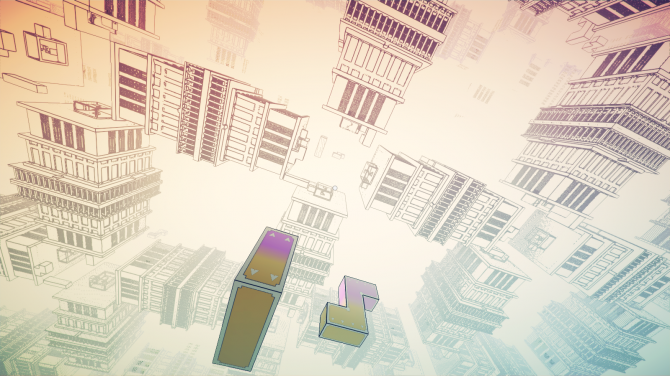 The puzzles and architecture are clearly engaging enough that even a non-puzzle game player will play for an hour. However, at that point, they are starting to wonder why they are spending their time doing this when they could be playing something else. The prospect of more puzzles as a reward is not enough. There needs to be a sense of purpose. I had the beat where the mystery is introduced, but not until 1.5 or 2 hours in. Now I know I need to move it up and introduce it earlier. An update on the situation, since some people have been asking questions. 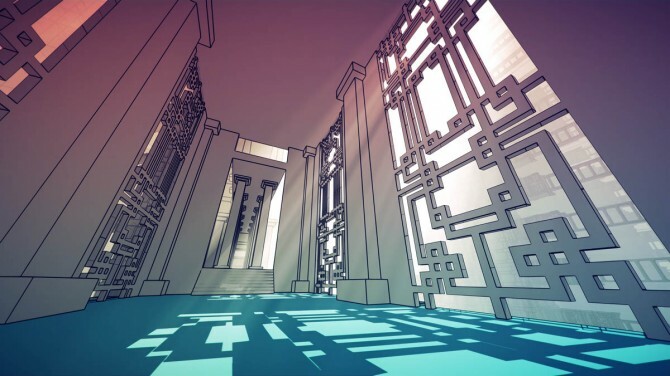 David Laskey is no longer working on Manifold Garden. In the end, things just didn’t work out, and I decided to look for a new programmer. The search for the new programmer is going well. It’s been very busy. So far, I’ve gotten about 60 applicants. This was quite surprising to me, as I only posted about the job on twitter for a few times, and didn’t put it on any job boards. It has been incredibly time consuming going through all the emails and resumes, scheduling interviews, checking references, etc. Last week I got very little done in the way of actual work. I hope to finalize everything within either this week or next week. I’ve also learned a tremendous amount about the hiring and job application process. One day I will write a more detailed blog post about. 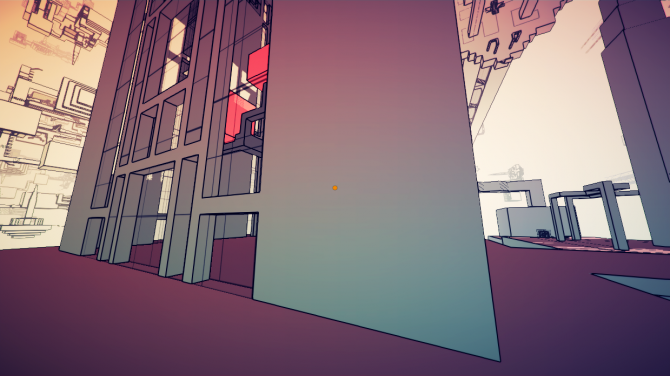 This week I’ll be adding in the feedback I received from Indiecade East. I’m now at a point in the development of the game where I need to start thinking about launch. I need to start looking into logistics of releasing the game – setting up infrastructure for beta testing, setting up a steam page, etc. To be honest, things have been quite difficult without a programmer. My estimate is that I’ve lost about 6 months of work-time (taking time away to do interviews, working with inefficient tools, legal overhead, the new programmer having to catch up on codebase, etc). It’s very possible this will push back my original planned release date, but I just have to make the best out of my situation. 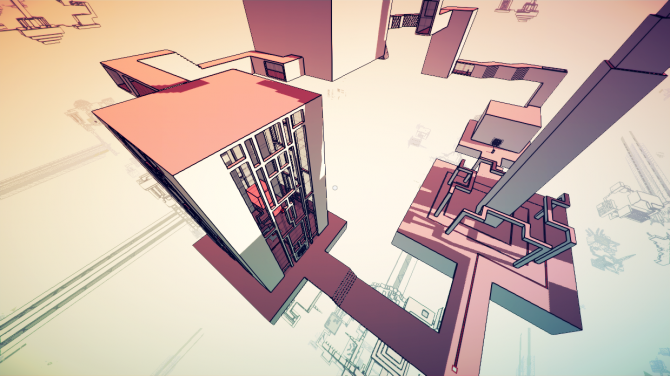 I am still able to work with existing tools to create new levels and test out pacing in the game, so that is what I will be doing in the next few weeks. I’ll be meeting up with the design club here in Chicago soon to go over what I have planned. This summer is going to be a super busy one, but I’m looking forward to getting into a cycle of iterating and playtesting.